The English Sunny School of Cyprus in cooperation with our partner in Albania is organizing the first international English camp in Saranada. We provide there resort staff, English lessons with qualified teachers. We also submit 24-hour supervision, accommodation in a 3* hotel and excursions in English. Albania is a new tourism destination for European countries. In hotels, shops, restaurants, tourist information offices and night clubs English is spoken and understood everywhere. 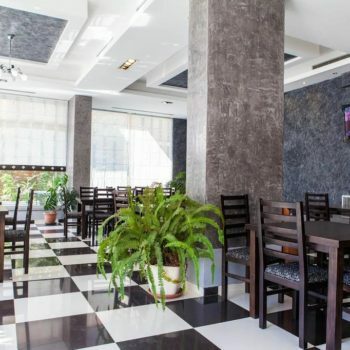 The Albanians are very friendly people and their wish is to satisfy their clients’ needs. The weather is also fantastic – in Sarande, where the campus is situated, there are 300 days of sunshine per year. The Albanian Riviera has preserved its charm. It is a relatively un-discovered place which, despite its extraordinary beauty has not yet been overrun by tourists. 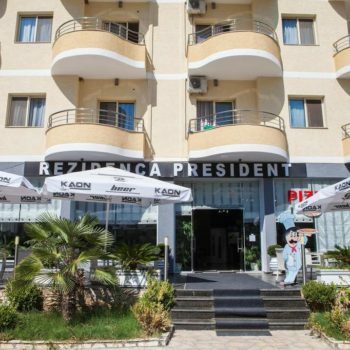 Saranda is the perfect place for active holidays! Mysterious Albania is a country where everyone loves to play and enjoy the holiday time. The inhabitants will be willing to teach tourists some of the most important phrases in Albanian and they will show them the steps of the popular dance, called “kolo”. Saranda is located in the southern part of the Ionian Riviera. It is the largest and the most famous seaside resort in the country and it has been justly called “the Pearl of Albania”. 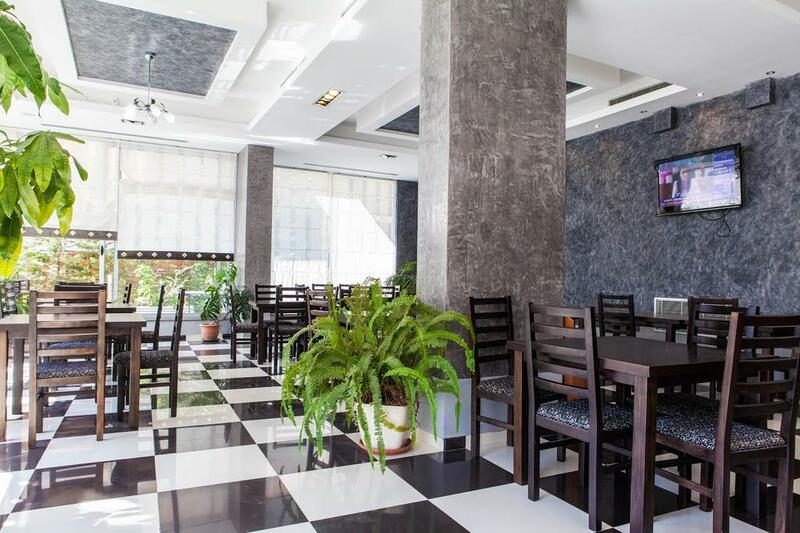 It has been built on the slopes of the hills, where the buildings descend smoothly towards the wide bay of Gjiri and Saranda, with a pleasant Mediterranean climate. The programme is for those who want to visit Albania, to practice their English as well as to relax and have fun! 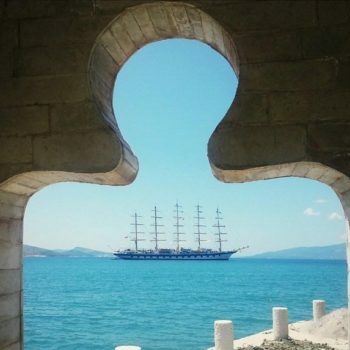 We will take you on a day trip to the picturesque Ksamil – a pearl of the Albanian nature, famous for its beautiful clean beaches, called the Albanian “Bora-Bora” and to Butrinti (UNESCO’s city) where you will have the opportunity to see the Asclepius temple, the baptistery, the Gate of Lions, and the Acropolis – with its amazing archaeological excavations. 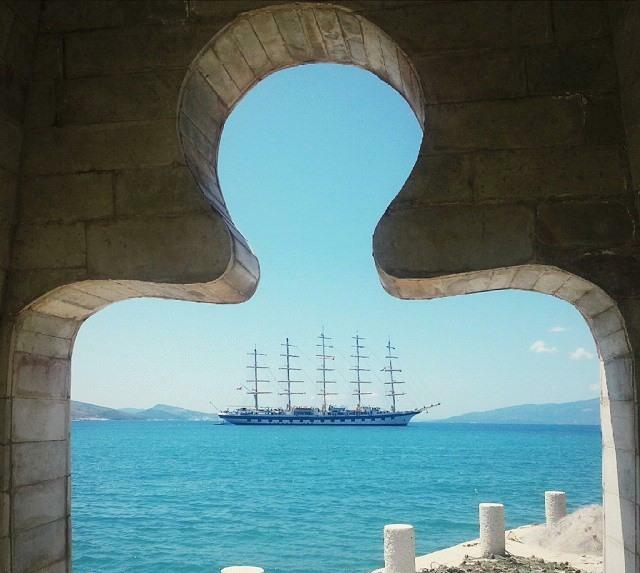 We will take a trip to the Lekuresi castle, which towers above Sarande on the hill and we will have a cruise on the Ionian Sea to visit one of the most charming and forgotten beaches. Good weather for sunbathing and water sports is guaranteed. 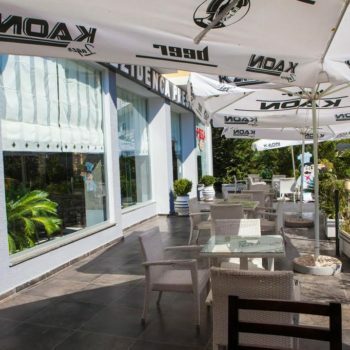 In Saranda the sun shines over 300 days a year! In the evenings, students will take part in games and evening walks to discover the second life of the city. 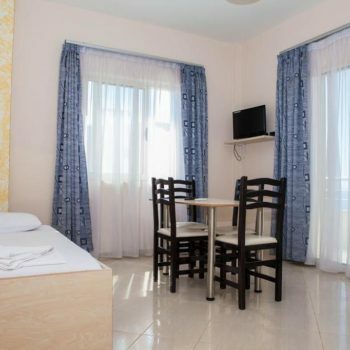 Accommodation will be provided in a 3* hotel in Saranda, in 3-4 bedded en-suite rooms. 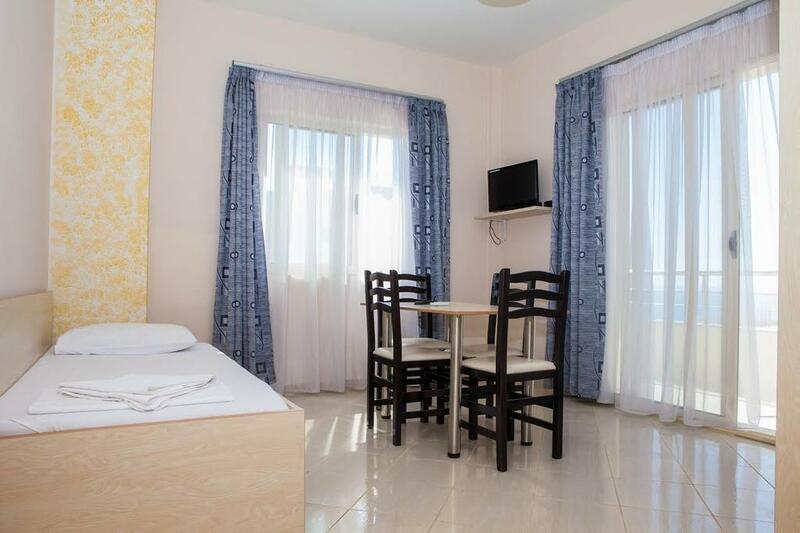 The rooms have air-conditioning, TV, towels and bed linen (changed once during the stay). 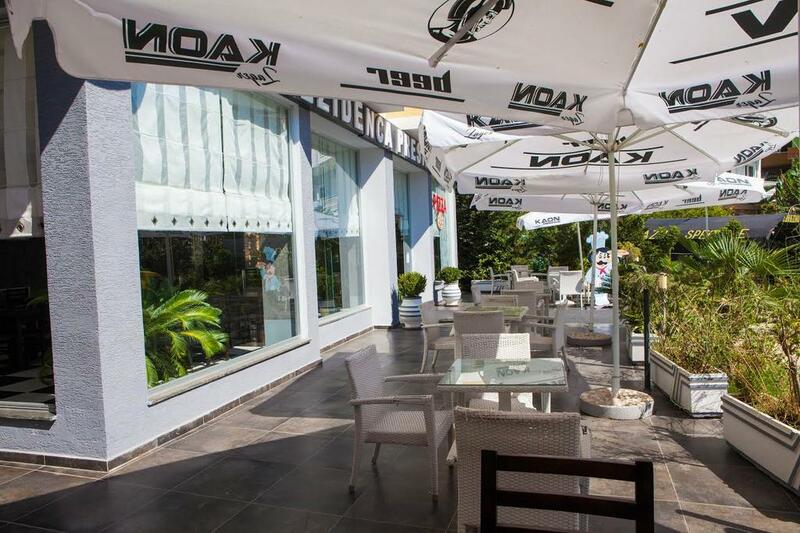 In the hotel there is free Wi-Fi, a restaurant and a large terrace. In the area around the hotel there are grocery stores and taverns. 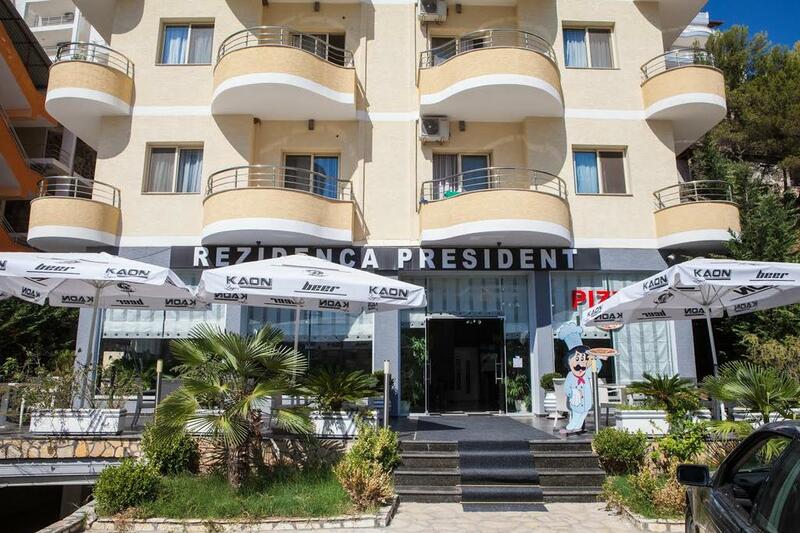 The sea and the nearest beach are just a 2-minute walk away from the hotel. The hotel also provides transfers to a private beach – the beach service with extra charge is approximately 3 Euro / day). 3 meals a day: breakfast, dinner + packed lunch (sandwich, fruit, water or a drink). Young people are under the supervision of the Sunny School group leader/ teacher. It is required to take the passport as Albania does not belong to the EU but during summer time visa is not needed. Send us your request or application and we will inform of the full details.